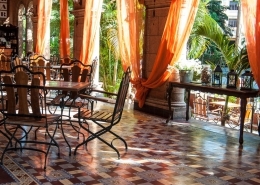 In a beautiful colonial house, has an impeccable atmosphere. It is known for its gourmet food. 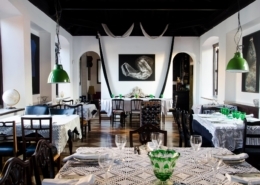 The dishes are served in old crockery, crochet tablecloths on fabrics, feels like home. 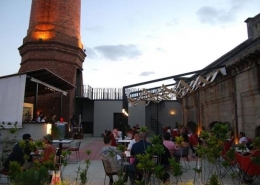 Is located on the top floor of a nearby building of the Habana Libre. 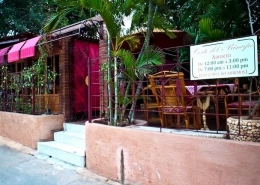 It has a modern ambiance and is known for his gourmet cuisine. The prices are high. 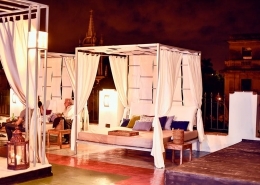 This beautifully designed Paladar with his warm ambiance and the owners personality is like an oasis in Central Havana. 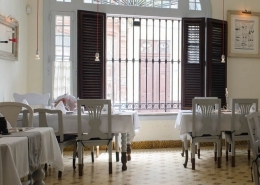 Corte del Principe has made his place among the best palates of Havana, thanks to its Italian cuisine. 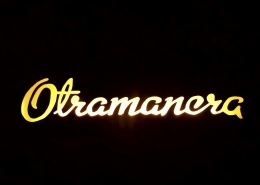 Located just behind the Hotel Occidental Miramar. 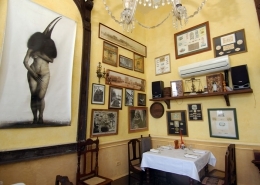 Opened in mid-2011,la Galería is a place of ambient charm,which would be entirely normal in most cities, but somehow appears notable in Havana. Worth climbing the grueling stairs to reach the restaurant, located on the terrace. It has an excellent atmosphere, modern, and international, although recently became very popular and so pretty touristy. 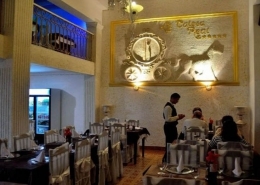 El litoral is a lovely very smart place to eat in front of the Malecon. 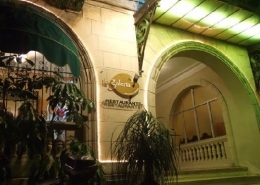 Inaugurated on August 6, 2013 Élite presents itself for diners as one of the most attractive gourmet proposals in Havana. 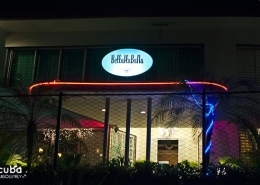 As the name suggests, Bella Havana is a beautiful place, located on the edge of El Vedado and Miramar, in an elegant and carefully restored house. La Calesa travel in the space of your dreams and enjoy their colors, flavors and naturally,this is possible if you are a passenger of the Calesa Royal. Bar de Tapas, La Esencia antiquity with modern style reflected in this cozy Restaurant-Bar, will move you to a world of refinement and originality. 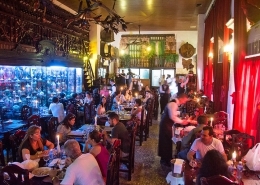 Founded in 1995, is a place where Havana residents and tourists gather to enjoy the best grill in Havana. 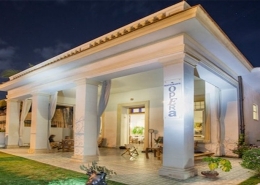 La Fontana is located in the residence of the Kings Lovio, a modern family mansion in a calm part of Miramar. Became famous in the film Fresa y chocolate. 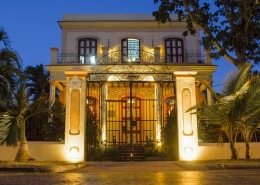 It is visited by celebrities and politicians, and located in a mansion of the last century, with a very special atmosphere, especially at night. The text presenting the restaurant’s menu nicely sums the proposed Moral: “Dreaming is free, so dreams, are in La Moraleja, a dream come true.” The dream was inaugurated in February 2011. 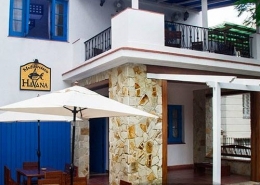 Is located in a beautiful old house restored restaurant also has a bar. 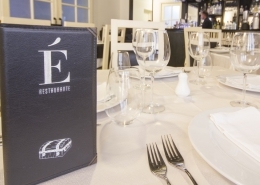 The place is very chic, is known for its gourmet French food and the prices are moderate. Lately it became quite touristy. 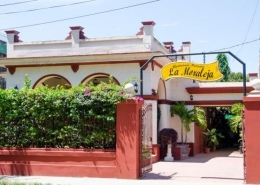 There are three different restaurants, however Los Nardos, although it is the most expensive, it is the most recommended for its ambiance, quality of food and service. Mediterranean atmosphere and flavor. Distinguished by the preparation of dishes from fresh and natural products. Wide range of wines and cocktails. 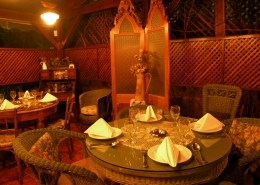 Opera is located in an old colonial house, decorated with artwork, it has good food and service. 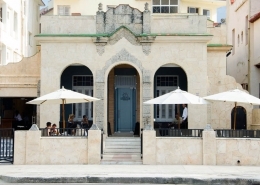 Despite being a city by the sea, Havana has very few places to eat overlooking the bay and the blue ocean. 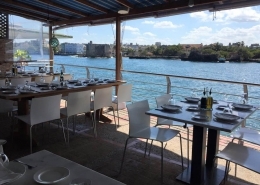 Rio Mar has a beautiful terrace, with a spectacular view over the river Almendares. 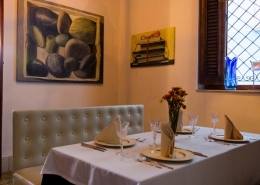 Ideal to enjoy with friends good food and relaxed atmosphere with a spectacular view of Havana. 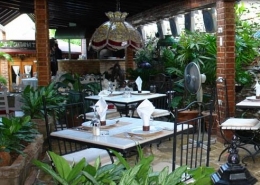 This glamorous,elegant restaurant, attended by people with high purchasing power. 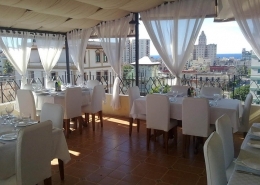 Vista Mar is located on the second floor of an elegant private residence of Miramar, which has been converted into a restaurant. 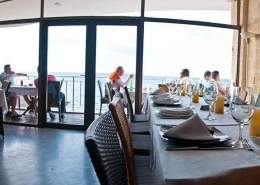 In this restaurant you can enjoy delicious seafood dishes, while listening to the murmur of the waves and enjoy beautiful sea views.